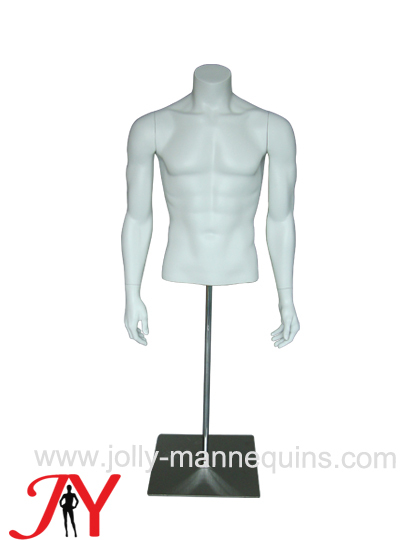 JOLLYDISPLAY is a premier,leading manufacturer,exporter of mannequins. Our mannequins include fibreglass mannequins,plastic mannequins,inflatable mannequins,fabric cover mannequins(torso&full body fabric cover),paper mache mannequins. All our mannequins are sold abroad and distributed by our honored clients through the world for all kinds of clothing display for stores,shopping malls,boutiques. We offer the customized mannequins service which means that with only one picture and your request on the size of the mannequins,we could sculpt it and prouduce it to be a real mannequins. JOLLY MANNEQUINS'S new design mannequins range on website is a place you could find all the new, popular ,well design mannequins. you could see would be the next best selling mannequins here. you could get some ideas for your design mannequins. Since when, you could not see the blond girls with the red hair girls stand in front of all the stores windows? Since when, the realistic mannequins with the styling makeup are not the first choices for the visual merchandisers? But Jolly mannequins is still here to supply the realistic mannequins with different styles makeup and wigs as Chanel still keeps their window with the realistic mannequins. With jolly mannequins, you could have your own style makeup up realistic mannequins with different flesh tone skin colors choices. Check the projects we do here and hope that our mannequins always could be the inspiration for your visual styling and stores concept. Recent years, sport mannequins become a popular element for visual styling. For giving our clients more concepts on the visual styling, jolly mannequins designs and manufactures the sport runner mannequins, sport athletic mannequins, sport basketball mannequins, sport yoga, sport tennis, badminton and ski, skating mannequins which are almost a full range of all the sport mannequins in market. Welcome to select your styling favorite sport mannequins here. With 3D design and printing now, you could have easily your sport mannequins. Talk with us. Egghead mannequins are the most popular in the market in recent years. Actually egghead mannequins are in one range as the abstract mannequins. According to China Labor’s day holiday notice, the C-STAR show Schedule changes ..
For celebrating the Chinese Lunar New Year of the boar, Jolly mannequins would have a little bit longer time holiday for our workers. 2019 Chinese New Year's E..
As a mannequin factory, we are always looking for exclusive distributor for different markets. Our distributor could get better price, and quick delivery time, customized mannequins service, etc. To be our mannequins distributor, we have some requirements. We have quantity request on the annual buy. After one year cooperation, we need see how many mannequin you buy from us, then we decide whether you could be our distributor in your market. Generally Requirement on quantity for exclusive agent for one market is 4000 pcs, about 10 containers 40hq. For all clients, we treat them fairly. If we already have clients from the market, we could not make you as exclusive distributor even if there’s big quantity. For giving our clients more flexible service on mannequins, for clients we just use mannequins randomly or no warehouse for mannequins, we supply the hiring mannequins service for Asian countries, especially China mainland, HONGKONG, MACAU, JAPAN, SOUTH KOREA. But for hiring mannequins, we have fixed models for you to choose. Jolly mannequins not only an OEM and ODM mannequins factory which supplies mannequins to big distributors and big brands. We do have the wholesale mannequins sale for the mannequins retailers and who has one boutique or several shops only needs wholesale mannequins. Mannequins has big volume which maybe would not be so worth to buy several pieces from china to long distance countries such as Europe or America. But if you need, we do sell and we do give you the best price mannequins in the market which could make us deserve that you buy the mannequins from so far place. ` For the fibreglass mannequins, we need 15days for a whole sale order less than 30pcs, minimum quantity 5pcs/model. For the plastic mannequins, we have stock which is always available, but cause of the stock policy here, we need 5-7 days to pack the mannequins, or paint the colors as you want with the fittings you like. For Asian countries clients, you are always welcome to talk with us for the wholesale mannequin orders.